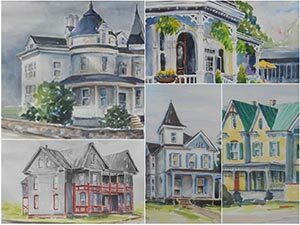 On Saturday, May 9, 2015, the Berkley Arts Council is sponsoring its first plein air painting event in conjunction with Martinsburg Heritage Days Festival. This date will also be the opening of BAC’s first exhibit of plein air paintings in the Berkeley Art Works in downtown Martinsburg. The BAC seeks to pre-register painters to participate in an plein air painting event and exhibit. Participating artists should be prepared to set up in an outdoors location and work on a painting of a scene in that location. Participants may exhibit finished paintings, prints, or other work for sale in the Berkeley Art Works gallery during the month of May.